Hi friends! I’m back with another review! To start, I had very high expectations this book due to the high praise and recognition it received on the bookstagram community, so I was very keen on reading this book. A few chapters in and I was already hooked. The whole new magic system intrigued me and beckoned me to read further. I just couldn’t put this book down! The writing of this book was simplistic and pretty easy to understand. The flow of the story was pretty fast-paced with intense fight scenes and chases but it was well put together. The story was filled with plot twists and shocking moments that kept me at the edge of my seat till the very end. Although Zelie such an interesting and complex character, I have to be honest and put it out here that I didn’t like her at first due to her stubbornness but as I continued reading, she began to grow more likeable. I like that she’s firm in what she believes in and doesn’t back down. On the other hand, I actually enjoyed Amari’s point of view a little more, I liked seeing how she went from a vulnerable princess into someone brave and fighting for the cause she believed in. The interesting thing about this books is that it shows us two different worlds through Amari and Zelie. 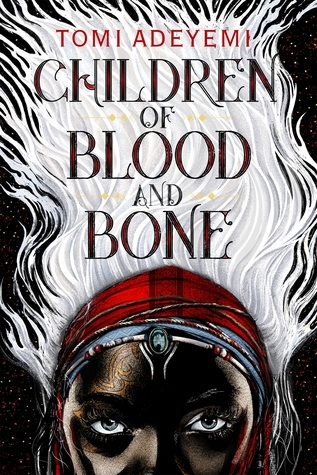 One of the things that drew me to read this book was that it integrated the topic of racism into this fantasy world. The author paints a world similar or parallels to her own and I find that so amazing. Adding the fact that this book has a diverse main cast makes it even better. YES! It’s a 5/5 stars for me. It’s definitely worth the hype!